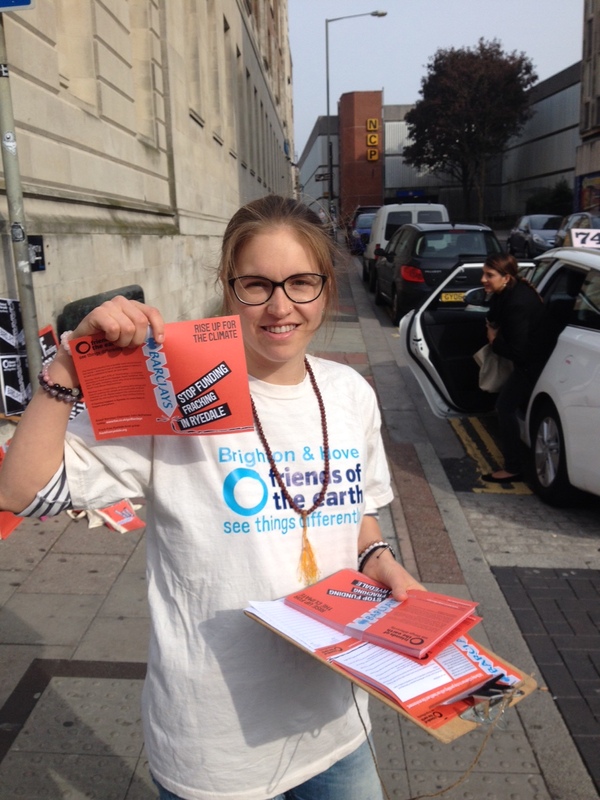 On Saturday, 10 October, Brighton & Hove Friends of the Earth members protested outside Barclays Bank in North St, Brighton as part of a national day of protest to take action on climate change. 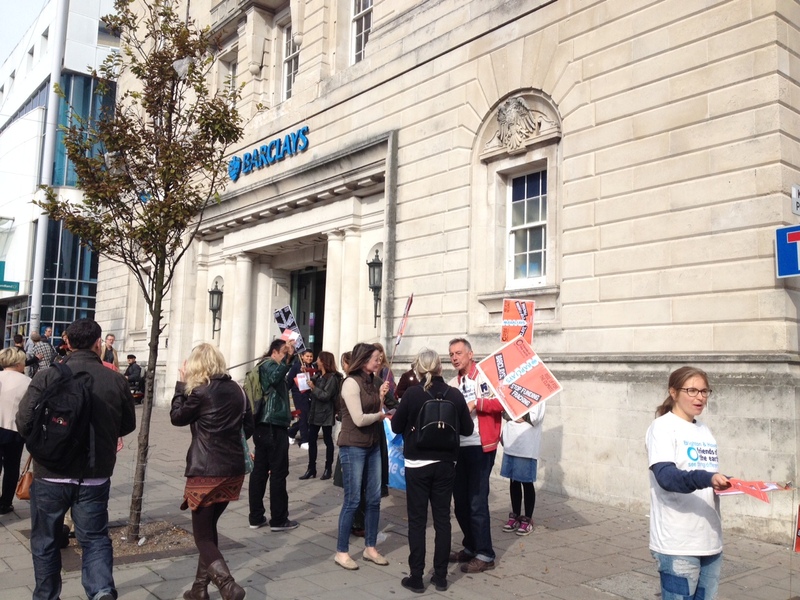 We handed out leaflets to the public to make them aware of Barclays’ interests in fracking. Barclays Bank own 97% of Third Energy – a company planning to frack across Ryedale, North Yorkshire It wants to drill 19 wells, including some very close to the North York Moors National Park. This would be the first time that a major High Street bank has directly invested in fracking in the UK. Fracking is in the spotlight as it will involve accessing more fossil fuels, when the reality is we need to leave most of what we know about in the ground, if we are to avoid catastrophic climate change. This also comes only a couple of months before the next international climate change talks in Paris where it is essential that politicians come to an agreement to take concerted action to tackle carbon emissions. 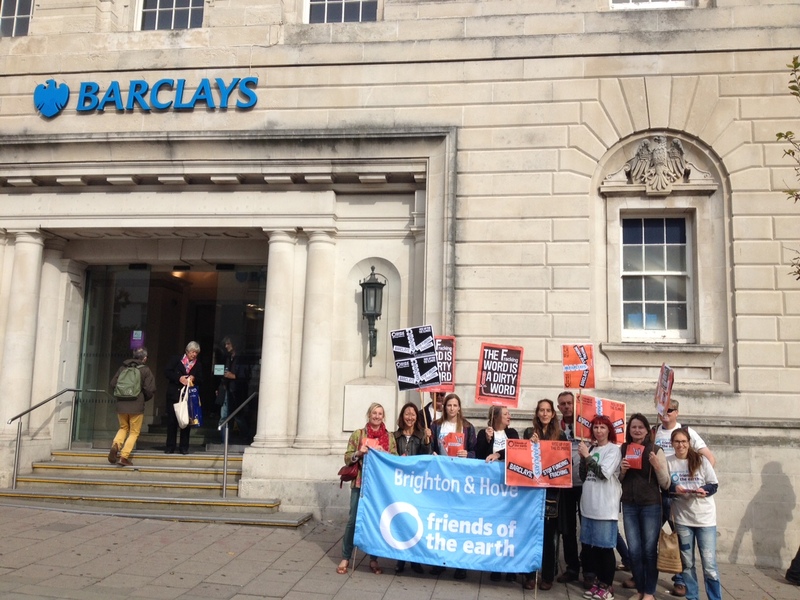 Friends of the Earth is urging anyone with concerns about Barclays funding fracking to email John McFarlane, chairman of Barclays Bank via the national Friends of the Earth website.